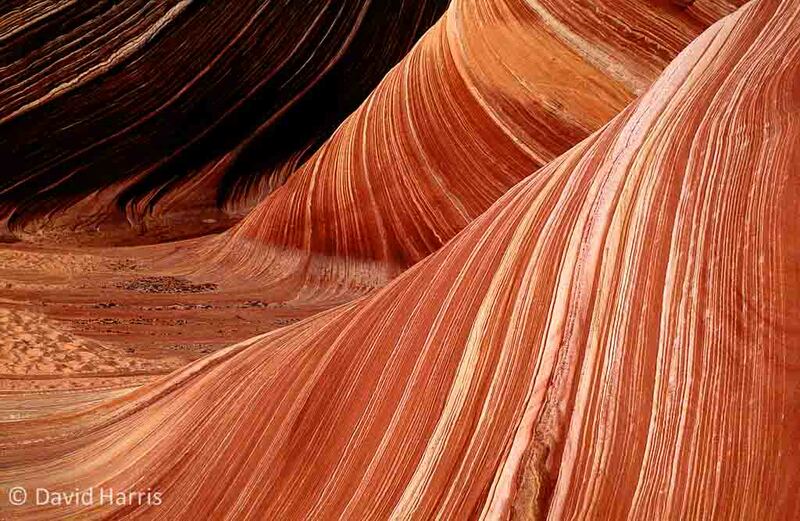 Unfortunately it is increasingly difficult to get permits from the BLM to go into Coyote Buttes, particularly for the North, where the Wave is. South Coyote Buttes permits are easier to get, but the deep sand on the route means four-wheel drive is essential. We have visited North Coyote Buttes three times, before the permit system became too difficult, and South Coyote Buttes twice. Two days after our last trip into South Coyote Buttes we were told a horror story by another photographer. Some people they knew had their vehicle become stuck in sand on the way to Coyote Buttes South, and were unable to dig it out. They had to be rescued by some locals, and that them cost a lot! If I had been told this story before our trip, we might not have gone, and would have missed seeing and photographing some great sandstone formations. 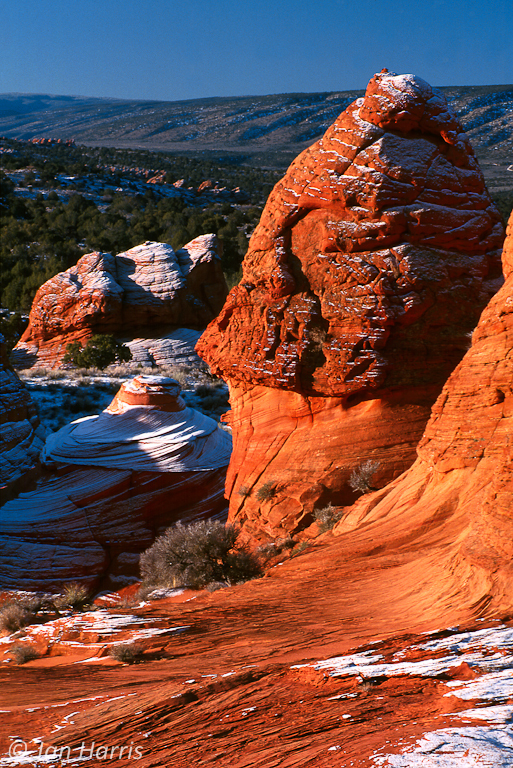 The White Pocket area is less colourful, but still of great photographic interest. It is outside the permit zone, but even futher down the sandy roads beyond South Coyote Buttes. The risk of going alone is too great; we are travelling in a group, with a guide.